"Jedi Warrior Training for US Special Forces: A Workshop offering Mindfulness-Informed Insights for Leaders Seeking to Thrive in VUCA Times"
What extra-ordinary human resources and capabilities would be required for people in a position to potentially start or stop the next world war? If you were to train leaders intensively full-time for six months to develop the strengths and qualities needed to make the wisest decisions under pressure, what would you teach them? This seminar will explore the profound relevance of leaders and organizations investing in developing the capacity of people to wisely and resiliently meet the challenges and embrace the opportunities of today’s “VUCA time”: A time of ever increasing Volatility, Uncertainty, Complexity, and Ambiguity. The workshop will offer inspiration and guidance for educators and leaders who are seeking to develop the extra-ordinary capacities and rare human resources necessary to truly thrive, and effectively help others realize their highest potentials while fulfilling their missions in an increasingly VUCA world. 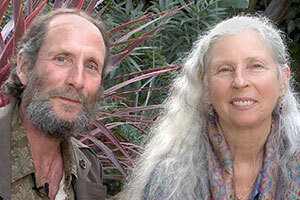 Dr. Joel and Michelle Levey are founders of Wisdom at Work, and faculty for the University of Minnesota Medical School. With nearly 50 years of experience, they were early pioneers in introducing mindfulness, resilience, contemplative science, and collective wisdom into mainstream organizations. Their seminal work has inspired hundreds of leading organizations around the globe including: NASA, Google, World Bank, Intel, British Parliament, NHS, Nuffield Trust, KPMG, U.S. Army Special Forces, Stanford Research Institute International, Clinton Global Initiative, U.S. Surgeon Generals Office, MIT, and the World Government Summit. The Leveys’ co-authored works are available in 14 languages and include: Living in Balance: A Mindful Guide for Thriving in a Complex World; Mindfulness, Meditation, and Mind Fitness; Wisdom at Work; Focus! ; The New Bottom Line; Community Building in Business; Learning Organizations; and Intuition at Work. To learn more about the Leveys’ work, please visit the Wisdom at Work website.